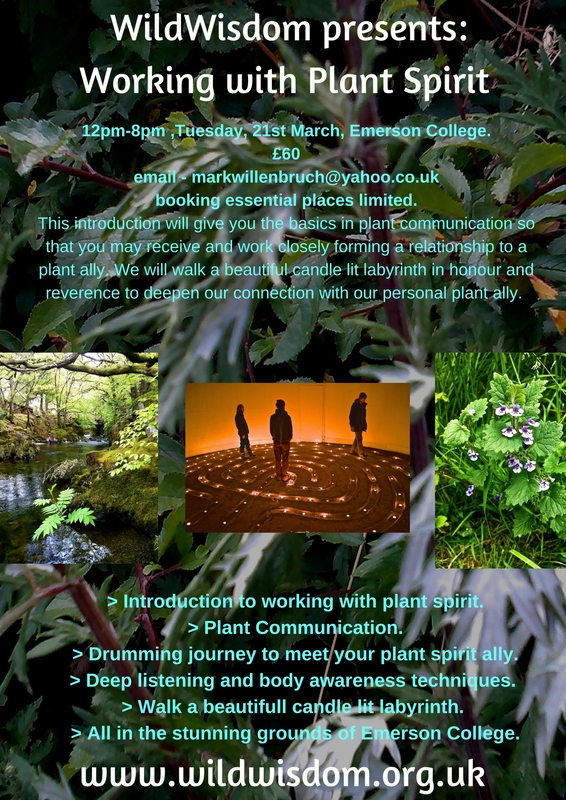 Testimonial from the Working with plant Spirit workshop, 21.3.17, Rose Moore. Although I have always been a lover of nature, my conventional scientific education made me somewhat sceptical about the concepts around plant communication on an intuitive level. However I had no difficulty in quickly recognising my plant ally and enjoying her gifts. Little did I realise that I was about to experience unexpected insight and some deep healing of grief associated with the destruction of a beloved place. The beautiful candle lit labyrinth was the culmination of a very special day and I am grateful to Mark for this introduction to Wild Wisdom work.